FINAL SCORE: Participants in the Celebrity Quiz Challenge sharing a post-match photo-op; (above) Yvonne Chin interviews Claire Grant. A milestone like the golden anniversary of a landmark product is worth a parade. 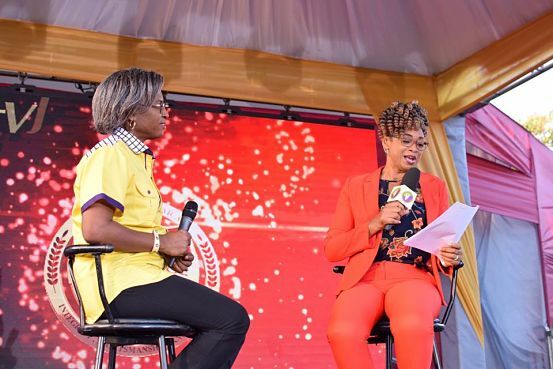 Television Jamaica (TV-J) couldn’t be more proud of the fact that Schools’ Challenge Quiz has hit the 50-year mark, making it the longest-running educational programme of its kind in the English-speaking Caribbean. Unsurprisingly, they’re taking the show on the road. 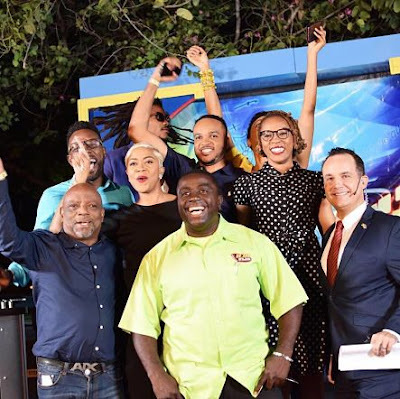 On Thursday, the station’s management and the show’s production crew took over the Emancipation Park in New Kingston, transforming it into a hub of electric excitement, as fans and past quizzies and loyal sponsors (Tru Juice, Kingston Bookshop, Digicel) came together in celebration of brain power! Quizmistress Yvonne Chin was a gracious hostess, conducting interviews with, among others, General Manager Claire Grant and J. Michael Gonzales, the showrunner who’s had the unenviable task of researching and writing the questions and coordinating the matches for over 20 years. Special congratulatory messages, viewed on the jumbo-sized screens, came from PM Andrew Holness, Dr. Peter Phillips and Senator Ruel Reid. 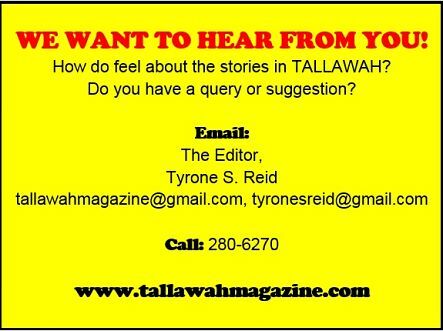 Meanwhile, Kevin Downswell was also on the scene, and a well-received performance by the gospel star brought the curtains down.